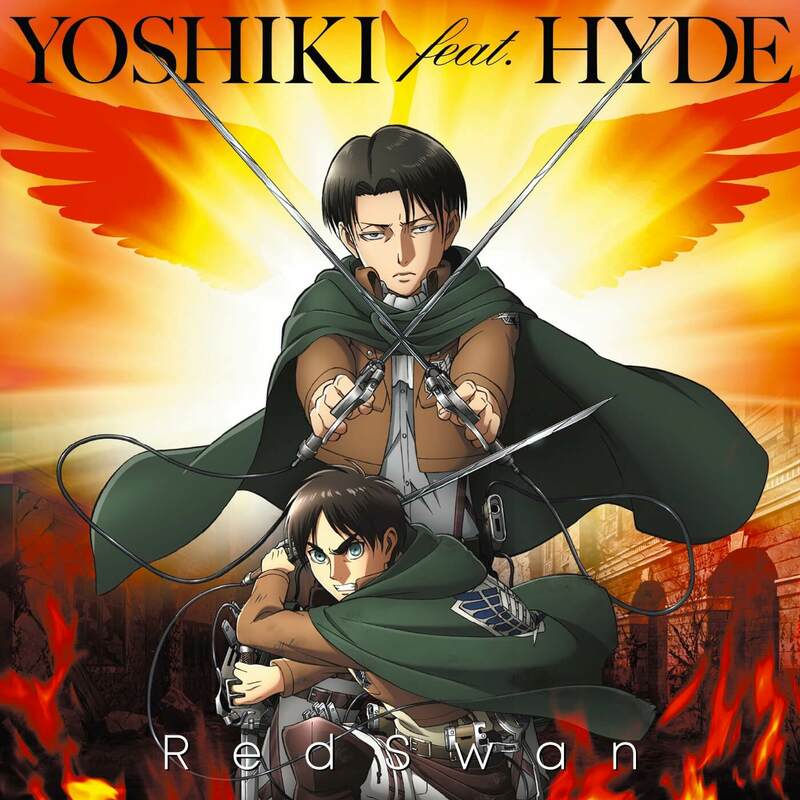 Attack on Titan’s season three opening theme song Red Swan by YOSHIKI feat. 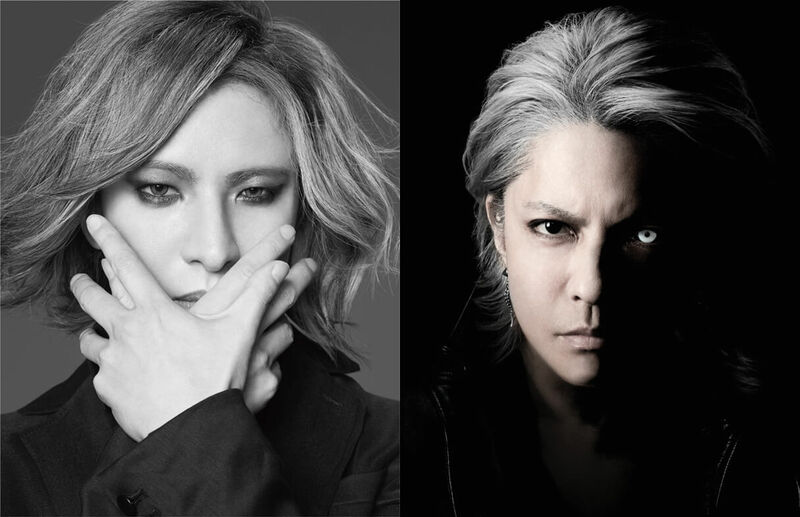 HYDE was released digitally worldwide on October 3 and has quickly shot to the top of the charts at home and abroad. 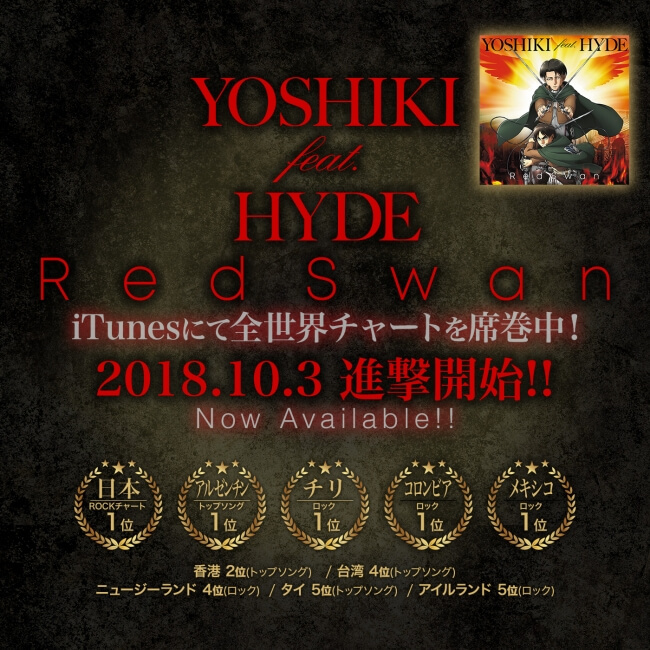 The second Red Swan his iTunes it shot to no.1 in the music platform’s rock charts not only in Japan but in Argentina, Mexico, Chilie and Colombia. It also clocked in at no.2 in Hong Kong, no.4 in Taiwan and no.5 in Thailand. The song’s success can be credited not only to the fact that it’s part of one of the most popular anime series in the world but because it’s created in collaboration with two of Japan’s most celebrated artists, Yoshiki of X Japan and Hyde of L’Arc-en-Ciel. 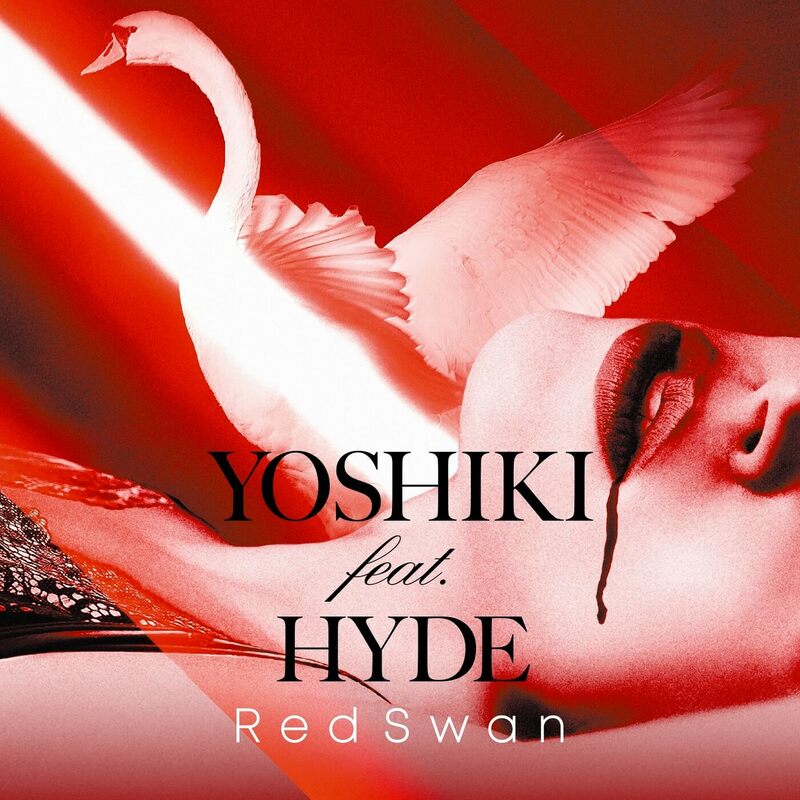 Fans have praised the song for its extremely beautiful melody, its degree of perfection and for composer Yoshiki’s ability to keep evolving and pushing the boundaries of what he can do. Yūki Kaji, the voice actor of Attack on Titan’s protagonist Eren Jaeger, appeared on YOSHIKI CHANNEL―the most subscribed to channel on Japan’s biggest video streaming platform niconico―in celebration of the song’s release to talk about the show. Kaji has provided the voices for characters in many popular series including Shu Ouma in Guilty Crown and Meliodas in The Seven Deadly Sins. *If you’re signed up to niconico you can watch the stream in the archive after it has aired.